We are excited to announce FeeBelly is now live and available for download from the iPhone app store! However, Android users shouldn’t fret – we are coming soon to Android and Google Play. Sign up here for updates on the Android launch date and more. FeeBelly: Don’t Want to Read the Fine Print? There’s an app for that. 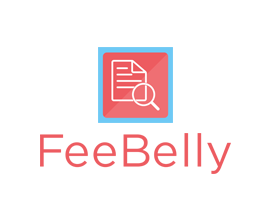 FeeBelly is an intuitive app equipped with advanced sniffing capabilities that can dig up costly hidden details and fees in the fine print of financial agreements and contracts. Less than 1 in 1,000 people bother to read the fine print – so now, there’s an app for that! By scanning long, cumbersome agreements like apartment leases, car rental contracts, mortgages, and more for selected keywords; the app locates and saves the important paragraphs that contain hidden terms, fees, and clauses, so you don’t have to worry about what you might have missed. The app then saves your documents so that you can return to them later and review anytime. You may then use the information gathered to renegotiate costly terms, have hidden and excess fees waived, or compare costly terms with the competition before signing. How Do I Use FeeBelly? FeeBelly is an easy-to-use app that removes the fear and pain of signing and committing to agreements. Once you register, the app allows you to either take photos of, or download PDF versions of, your documents and save them with a custom document name. To scan the document for hidden fees, you simply select what kind of document it is and select or deselect the terms for which you want to search. From there, FeeBelly does the hard work for you by taking a magnifying glass to the fine print we so often overlook. It’s your money. FeeBelly helps you find it, save it, and keep it – we’re your fine print detective, taking the guesswork out of hidden terms and fees.